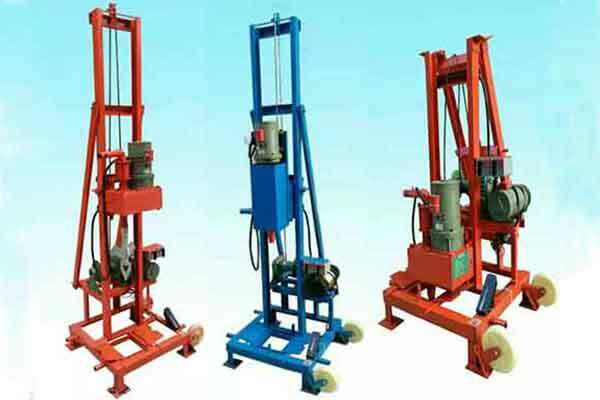 Steel bar cold extrusion press machine is a kind of steel bar processed equipment, which is mainly used for the connection of various steel bars in some engineering constructions, such as, reinforced concrete structure construction, high-rise frame construction, ordinary ways, high ways, ordinary railways, high-speed railways, tunnels, bridges, airport construction, flood control dams, earthquake-resistant buildings, marine breakwater dams, etc… The rebar cold extrusion press machine manufactured by Yugong Machinery is suitable for machining steel bars with the diameters of 16 to 32mm. 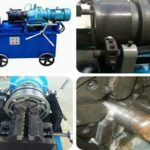 In addition, you can also buy different sizes of cold extrusion rebar couplers, threaded rebar couplers in our company, as well as rebar thread rolling machine. 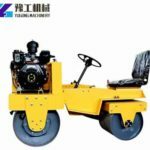 Interested in our machines, contact us now. Cold extrusion connection of steel bars is to insert the steel bars to be connected into the extrusion sleeves. 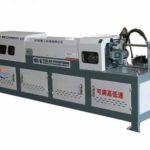 Then the sleeves are extruded with extrusion pliers to produce a joint form that is plastic deformation and tight compression of ribbed steel surface. Compared with the traditional lap joint and welding technology, the cold extrusion technology has the advantages of stable and reliable joint quality, free from environmental impact, round-the-clock construction, good shock resistance and low temperature resistance. 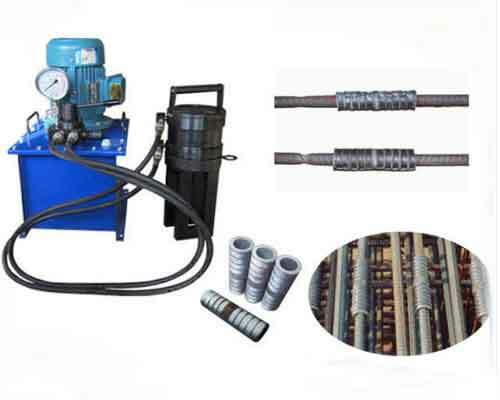 The rebar cold extrusion press machine is used by the ultra-high pressure pumping station, the high-pressure oil pipe and the extrusion tongs, and the compression die to complete the extrusion connection. The rust, sand, oil and other debris of the steel bar must be cleaned up. Mark the ends of the steel bars to be connected with paint. For a few steel bars that can’t be inserted into the couplers after exceeding tolerance, please grind the longitudinal at the end by grinding wheels in advance. 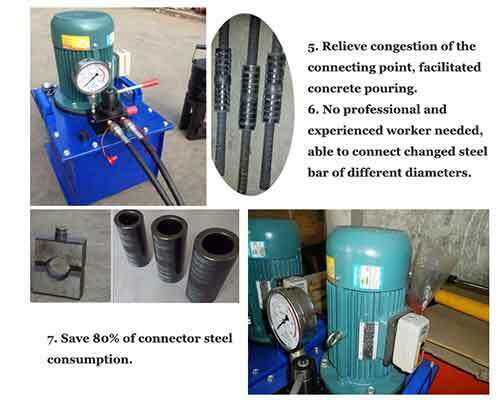 Cold extrusion rebar couplers should be stored according to different specifications to prevent the interaction between different diameters of steel. 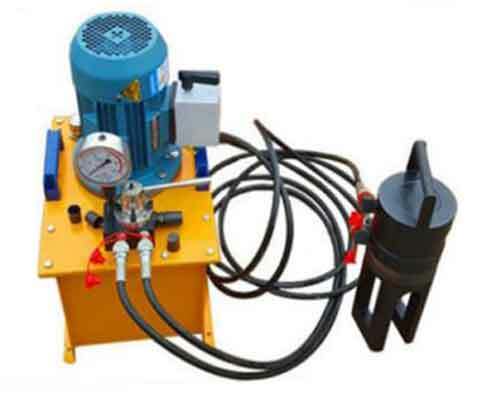 The machine achieves the purpose of reinforcing bar connection through the mechanical occlusion of the connecting sleeve extrusion. 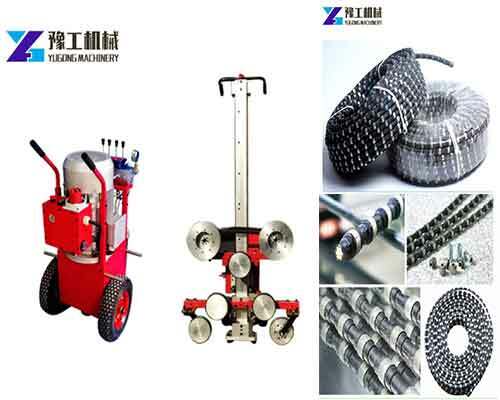 It is used to connect the threaded reinforcing bar with the diameter less than 40mm. 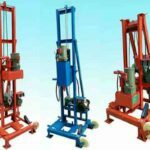 The equipment is more advantageous for steel bars with poor welding performance, construction sites with insufficient power capacity and project with tight construction period. 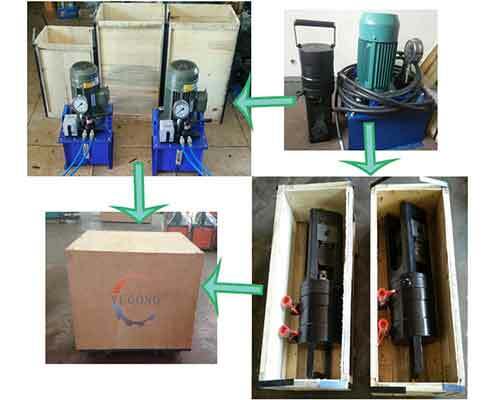 1.The quality of connection is stable, reliable and consistent, the connection part is as strong as the base material. 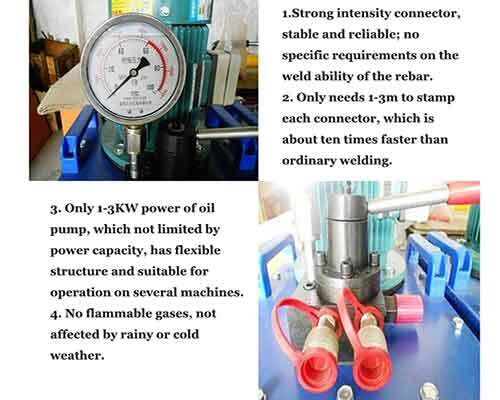 2.Compared with ordinary welding process, the efficiency can be improved by more than three times. 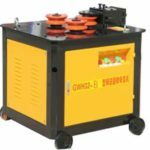 3.The operation is very simple that the operator can use the machine skillfully by going through a simple training or reading the manual. 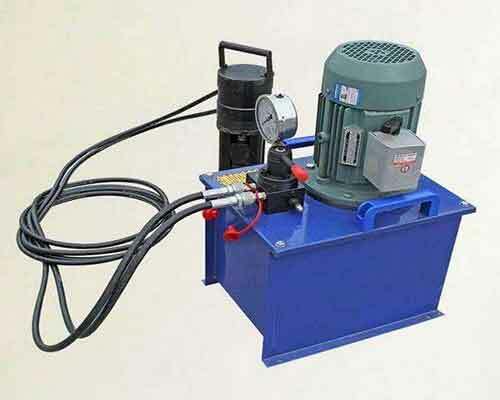 4.The use of the machine isn’t subject to environmental restrictions and weather effect. 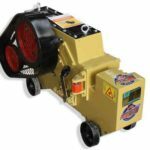 There is no fire danger, as well as save power. 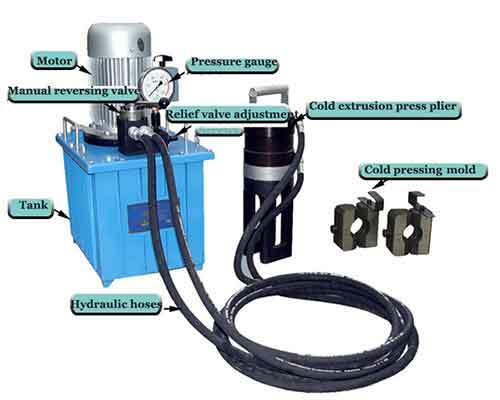 5.Compared with other kinds of threaded steel bar connection, the cold extrusion press technology has better usability, stronger versatility and lower comprehensive use cost. It is the most stable joint form with the best performance among varieties of steel bar joints at present. 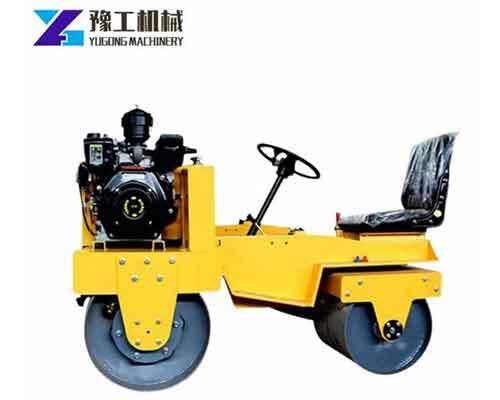 6.This machine is small in size, light in weight, flexible in operation and suitable for field construction and aerial work.